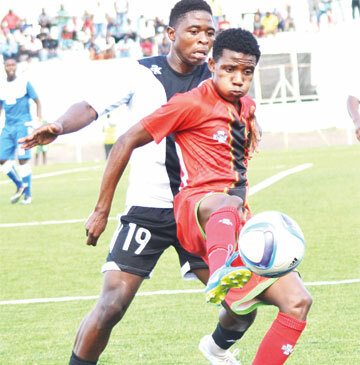 Malawi under-23 national football team has beefed up its squad with three players identified from the Rough Diamonds tournament which took place at Bingu National Stadium in Lilongwe over the weekend. The players are First Capital Bank (FCB) under-20 national league select team’s Daniel Chimbalanga, Walusungu Mpata and Nixon Nyasulu— who were part of the Southern Region select side that emerged victorious at the two-day competition after thrashing Central Region 5-2. Six players were initially picked to join the junior Flames who are camping at Chiwembe Technical Centre in Blantyre for two back-to-back 2020 Olympic Games qualifiers against Zambia on March 20 and 24. Football Association of Malawi (Fam) Technical Development Officer, Benjamin Kumwenda, said three players were sent back after it was discovered that they were overaged. Kumwenda said under-23 Coach Meke Mwase was impressed with the performance of the six players and wanted to try them in the junior Flames camp. “The coach wanted all the six in camp but, after scrutinising their national identity cards, we realised that they are over the age of 23. So we could not pick them,” Mwase said. Fam Technical Director, John Kaputa, said the six players are some of the fruits reaped from the tournament. Kaputa said details of 24 other outstanding players will be kept at Fam for future consideration in junior national teams. “We had a technical study group of 10 people which was compiling the list of outstanding players throughout the six matches played on Saturday and Sunday. Special attention was paid to players’ consistency throughout the tournament. “Having come this far, I can confidently state here that we achieved the aims and objectives of this tournament and we will repeat the exercise at the end of the 2019 season,” he said. The inaugural tournament involved four select teams from the country’s three regional leagues and the FCB national under-20 league.